The mining sector is one strategic sector in Nigeria for revenue generation, employment creation and diversification of the economy. The establishment of mining buying centers has the potential of not only reviving the solid mineral sector but also establishing Nigeria as an important Mining destination and mining contribution to the overall sustainability of the Nigeria economy. Buying centers will also ensure minerals are properly priced and sold. It is said that without effective buying centers, underground sales had robbed both the local miners and the country of expected financial gains through non-payment of taxes, royalties and other beneficiation from the mining sector in the country. Nigeria is endowed with abundant mineral resources occurring in over 500 locations spread across the 36 states of the federation and the federal capital territory, Abuja. In Nigeria, the high prospective minerals /metals include the following: metallic which include gold, iron ore, cassiterite, columbite, tantalite, lead-zinc and copper ores, Industrial minerals like Limestone, brayte, Kaolin, dolomite, silica and bentonite & other clays, feldspar, Marble; energy minerals like coal, bitumen, exotic gemstones like sapphire, emerald, Tourmaline, Aquamarine, Garnet, Topaz, Zircon, Amethyst Citrine and Smoky quartz and dimension stones. And also the categorization of some minerals with high economic potentials for further development which includes barytes, lead, Zinc and gold. 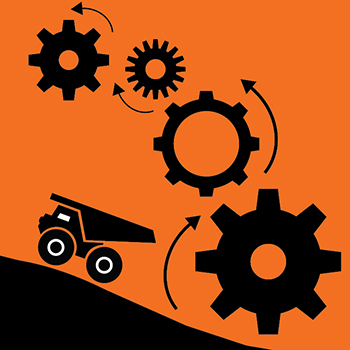 The government mining buying centre and the private mining buying centres should be strengthened and all the necessary policy and institutional framework towards the operation and maximization of the benefit of this important value addition process encouraged to ensure optimization of benefit of the sector to all the stakeholders. Nigeria have more than 93 certified Private mineral buying centers and more than 10 prototype Minerals Buying Centers created by the federal government across the country but these has been largely ineffective and underutilized. With these centers the country would be able to achieve the following; the maximization of profit from the artisanal miners and other stakeholders including the government, control of illegal mining dues, improved profit maximization, provision of the necessary infrastructure and regulatory framework across the value chain, enforcing compliance by mining operators on payment of royalties and mineral revenue. The buying centers are to serve as standardization centers to enable artisanal and small miners’ cooperatives and operators receive fair premiums for their labour as they concentrate on production. The centers will indirectly ensure the enforcing of compliance by mining operators on payment of royalties, taxes and others on minerals. The absence of solid mineral buying centers and lapidaries has enabled the flourishing of cartels who engage in illegal sale of minerals and illegal mining of the country’s minerals, with resultant loss of mineral revenue from taxes and royalties. One of the biggest problems we have in mineral exploitation in the country is smuggling. Some of these solid mineral resources were exported and sold back to the country at exorbitant rates and without the government and other stakeholders deriving the needed benefits. It is not good for us to take gold out of Nigeria and get it registered as gold from Niger, Togo or Ghana. The establishment of various mineral buying centers and lapidaries across the relevant zones in the country would be a good one as such step will encourage the artisanal miners to sell minerals in-country and production can be monitored for taxes and royalty collection. Buying centers should be standardized to reflect the kind of KC process. The Kimberley process was set up in 2003 as a certification scheme to clean up the diamond supply chain and make sure that the diamond trade does not finance armed conflict. The ‘KP’, as the process is known, requires member states to set up an import and export control system for rough diamonds. The buying centres should explore the ideas of the Kimberley process. To achieve the optimization from the buying center the government needs to do the following; Engagement and communication with all the stakeholders on the benefit of utilizing the buying centers, the establishment and deliberate policy of the government to promote the use of buying centers and thirdly the government should establish a viable policy, infrastructure and regulatory framework that will support the buying centres. Low level of consideration for health and safety. Also the significant negative impact on the environment will be easily traced and monitored. 6. Conflicts in mining and minerals tracked and sorted out. Buying centers are essential if the stakeholders will be able to realize the potentials of this sector with all the benefit and interest accruing to the sector. The use of EITI audit on social expenditure and its impact on the citizenry is exemplary as it is one of the genuine ways of measuring the effectiveness of natural resource management. The objective of EITI is to assist member countries in reversing the regime of secrecy and opacity through the periodic audit of the extractive sector and widespread dissemination of the findings of the audit reports, which contains the payments made by extractive companies to the government in form of taxes, royalties, signature bonuses, rents and management of such resources. Social and economic spending of extractive revenue helps the economic growth and well-being of the citizenry. The resource management no matter how altruistic is about the citizen impact and benefit of the natural resources found in an area. These spending and distribution are from taxes, royalties and payments levied by central, regional and local governments from the extractive companies. The extractive companies often make contributions to regional or local governments, federal communities, non-governmental organizations or other third parties in the areas where they operate and also they contribute to social corporate responsibility (CSR) in where they operate. Social expenditures can take many forms. They may involve cash payments such as donations, grants or other types of cash transfers, the construction of roads, infrastructure, schools, or the provision of services like training and health care for the host communities. In some cases, these social expenditures are based on legal or contractual obligations entered before the right to explore the resources by the host communities or the government. In addition, the revenue received by the government may be spent providing social services or other needs of the government. The contribution or lack of contribution helps in building or sustaining some level of social and civic trust within the community and the country. Revenues from natural resources are often more challenging to manage than revenues from other sectors especially some mono economics or economics with weak tax regime. Government revenues may vary as production and prices fluctuate from one year to the other and this hinders planning and sustainability. That is why it not advisable to solely depend on natural resource revenue for most of the country income. Social spending and impact is also the best way to asserting the level of effective management of the natural resource revenue by the country with natural resources. It is easier to track because it is the basic benefits that citizens can relate with and benefit from. It is equally a lead from the tracking of revenue by the government through another process of the EITI which is revenue reporting by the government. Nigeria NEITI was one of the few counties that first pioneered the social expenditure reporting through the release of the first report on the Fiscal allocation and expenditure report 1999 to 2011 which look at the transfer to the subnational government and other covered entities for some selected states and covered entities. The finding from the report exposed the lack of or poor utilization of the social expenditure from the subnational government ie health, education and human capital development. Even at the national level just like the subnational level, the bulk of the expenditure is spent on the recurrent expenditure which is the payment of salaries and another overhead cost to a small percentage of the population. It is pathetic even at the national level the countries budget which is funded mostly by the revenue from the extractive especially oil and cas that make up of more than 80% of our national budget. From the budget up to 70% to 75 % fully funded recurrent expenditures of salaries, emolument and overhead cost over the years for less than 2% of the population and 30% hardly funded capital project which the majority of the citizenry benefit from. This loop side nature of the public finance management and expenditure have resulted in the country having an abysmal performance in all the basic measurement of the citizen well-being and benefit from the extractive revenue. Let us look at the countries abysmal statistics which shows the level of the mismanagement of the little expenditure from natural resources in Nigeria. Nigeria is ranked 152 in 188 ranking on Human Development Indexes (HDI) 2017.It is estimated that the country has about 87 million people out of the estimated 180,000 million est 2016 in abject poverty (less than $1 per day). An out of school children of 13.5 million which is the highest in the world. An infant mortality of 69.8 death per 1000 (2015) and maternity mortality (814 deaths /100000 (2015). The country spends about 3.7% of her GDP in the health sector. In addition, the transparency international rating places Nigeria 148 out of 180 (2017). Nigeria also has a debt to GDP ratio of 21.5% (2017) with a substantial part of the revenue going to debt servicing. The latest “Commitment to Reducing Inequality (CRI)” index released two weeks ago at the annual International Monetary Fund and World Bank (IMF/WB) meeting in Bali, Indonesia, revealed that one in 10 Nigerian children do not reach their fifth birthday. All these show a country that needs to diversify her economy from the extractive sector to be able to have a significant issue in the country’s economy and investment in social welfare. However, we should all bear in mind that Nigeria is not a rich country when you do a comparative analysis of the production output from oil and gas with some other oil producing countries and the population of Nigeria. Also the country’s GDP and PPP shows the country is still a relatively poor country. Nigeria is ranked 23rd in the world oil reserve per capita, and $ 23,400 which is among the lowest of all major oil producers. The Country needs to diversify the economy with the oil income although this is always affected by the volatility in the oil sector and the shoddiness of the subsidy regime in the downstream sector of the oil and gas sector. If the deregulation of the downstream sector is effectively done this could free up the resource to effectively invest in the social services sector which will, in turn, improve the human development index of the country. The EITI aim of using the reporting and data from the social and public expenditure can best be effective for the citizenry to hold the different stakeholders accountable. Experience has shown that the most effective tool in citizens questioning the management of natural resource is the EITI report on the Fiscal Allocation and Disbursement report as shown in Nigeria. When the finding is effectively disseminated and the findings and mismanagement tied to the resources, it would have provided the citizenry, even in the remotest of villages, the tool to hold their leaders and public officials accountable. 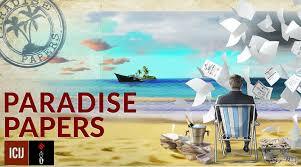 This reduces the incidence of corruption and natural resources revenue mismanagement. This will also ensure that good macroeconomic policy, resource mobilization, social services availability, infrastructure development, and effective stakeholders participation and engagement is uphold. 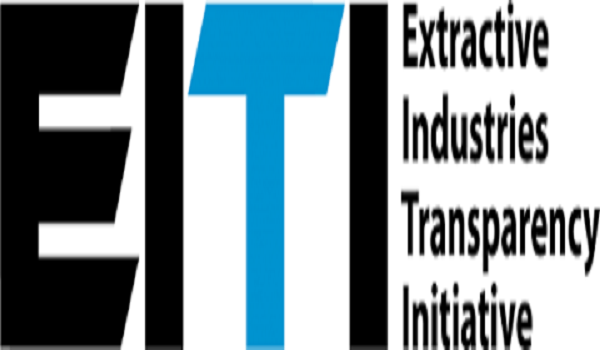 In a bid to implement the global EITI requirement, NEITI audit reports clearly points out remediation issues that will impact policies, legislation and operational procedures if adequately addressed. PWYP Nigeria believes that if the remediation is adequately addressed, there will be a great improvement in the Nigeria’s Extractive sector. NEITI findings highlight key issues of which some have been since 1999 relating to different agencies and these issues have continually remained in subsequent audit reports, thus the need to adequately carry out advocacy on the remedial issues and engage the stakeholders or companies who have continually showed lapses in the data or operational reports supplied in the audit reports. This was the basis for the engagement. Some of these covered entities includes NNPC, DPR, PPPRA, FIRS, NAOC, MOBIL/ESSO, WALTERSMITH, SHELL, SNEPCO, PLATFORM, ORIENTAL ENERGY, PILLAR OIL, NIMASA, and CBN. It is however sad to say that some of these companies or agencies did not turn up for the meeting. NEITI audit reports, clearly point out remediation issues that will impact policies, legislation, and operational procedures that will check corruption in the extractive sector if adequately implemented. Over the years, the Nigerian government and the covered entities has shown slow or little compliance to the remedial issues. Civil society, citizens and the media seem to have experimented several ways to bring about remediation but the result has not been very successful. It is to this end that Publish What You Pay Nigeria resorted to engaging some of these covered entities to advocate for remediation of the NEITI Audit reports. PWYP and other CSOs held a media engagement and advocacy to some media houses in a bid to push for the president to assent to the PIGBs. 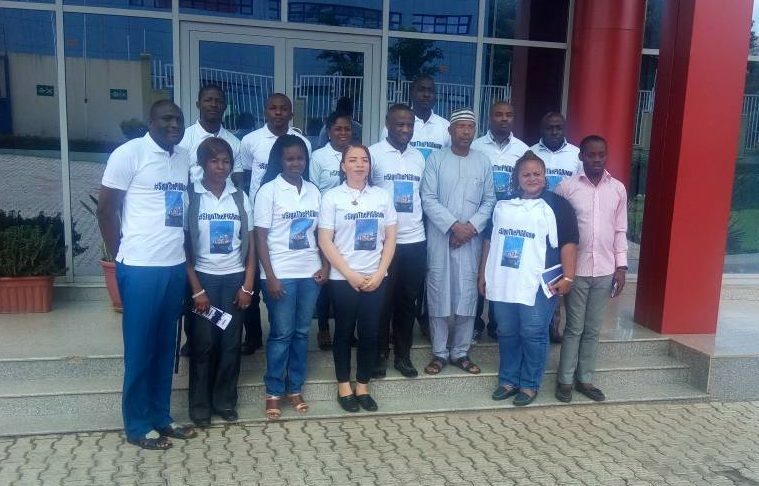 This advocacy visit was in an effort of Publish What You Pay Nigeria with its partners to increase awareness of the state of the PIBS and the need for the President to assent to the bills which have already taken over 17 years to get to his office. The exploration of minerals in Nigeria by the artisanal method has occurred for over 2400 years from mining basic clays to base metals and gold. There have been popular culture in Nigeria that have mining symbols as symbols of their existence like the Nok culture, Ife, Benin and Oyo cultures. At a time in Nigeria between 1903 and 1940, ASM operations dominated the mining in Nigeria and up till now, there is still a substantial dominance of Artisanal and Small Mining. Artisanal and Small-scale mining accounts for over 90% of solid mining in the country. In Nigeria some of the mining products mined in the ASM include precious metals, gold and varieties of gemstones like Sapphire, Emerald, Tourmaline, aquamarine, topaz, zircon etc and also Metallic minerals like Cassiterite, Columbite / Tantalite, lead /Zinc Ore and in addition the non-metallic minerals, gypsum, barite, silica, sand, Bentonite, Dolomite, Limestone, Aggregates, Gravels and Zircon sand. There are around 170 ASM sites identified in the country with over 400,000 people directly involved and 300,000 indirectly involved and around 300,000 as service providers. For a proper description of the term Artisanal and small-scale mining, ASM is a pro-poor livelihood strategy that involves people using simple tools and equipment in an informal sector outside the preview of regulators and with near no official and legal regulations. As a result of the non-formal involvement of the government and environmentalist there are potential environmental damage, social disruptions and conflict, as a result, the activities of the artisanal and small-scale mining needs to be closely monitored and formalized. Apart from the poor livelihood strategy and the use of local tools the other characteristics of Artisanal and small-scale mining include that it is poverty driven, it is exploited in marginal and small-scale minerals, lack or low level capacity, unskilled personnel involved, low level of productions, poor access to markets, chronic lack of investment capital, low level of consideration for health, safety and environmental implications, low level of income among operators, operating without legal mining rights, titles, conflict as a result of the contending interest, gender issues and child labour prevalence. Furthermore, the sales channel is largely unofficial and embedded with smuggling and distribution cartels leading to loss of revenue from taxes, loss of revenue from royalties, exposure of miners to uncontrolled risks, uncontrolled and non-systematic evacuation, resulting in environmental degradation, erosion and excessive pollution, amongst other negative effects. However, for effective and efficient maximization of the benefit of the ASM, the country should double efforts towards the formalization of the process of the ASM operations. Some of the measures to be taken include the intensification of advocacy and sensitization on the need and benefits of establishing and joining cooperatives to galvanize and formalize the resources and access to service. The registration of the cooperatives by the relevant government organizations and agencies so that ASM cooperatives enjoy the services of the extension services provided by the government and other relevant stakeholders. Some of these extension services include prospecting and exploration services, assist small-scale miners on mine/quarry design and planning, teaching on mining techniques, environmental impact assessments and guidelines for waste and safe mining, provision of marketing facilitates, introduction of simple mining technologies, plant hiring, access to grant and finance, foster technical corporations by international organizations and liaising with government agencies to providing holistic regulations in the sub-sector . The government should as a matter of urgency establish policy initiatives as a way forward towards improving the ASM. The government should allocate sufficient funding to government department and organization to ensure they lay out the necessary framework and policy for ASM growth and development, the human capital development of the technical staffs to carry out the extension services, regular monitoring of the mining sites nationwide, the establishment of mining support centers in all the states of the country, sensitizing of miners on the need to access mineral buying centers in the country and the commencement of equipment leasing programs for ASM operations. Formalization offers advantages not only to artisanal and small-scale miners but also to governments, large-scale mining companies, and rural communities. Formalization helps promote better working practices and conditions; reduces negative environmental impacts of activities; prevents and helps to better manage conflict associated with encroachment of miners and operations onto large-scale mining concessions; supports ASM to become an engine of enterprise and growth leading to higher government returns and job creation and stability; enables government to capture the revenues and tax from ASM activities. Formalization is an essential first step to transforming ASM into a sustainable livelihood activity and reducing criminality and criminal elements associated with some ASM activities. For formalization to be effective, the host communities, miners, governments at all levels, the regulatory agencies in charge of mining, international organizations and initiatives all have a vital role to play in helping this vital sector to maximize its benefit and potential in Nigeria. Nigeria has made steady progress with the implementation of the Extractive Industries Transparency Initiative (EITI) since inception in 2004. NEITI (Nigeria extractive Transparency Initiative) through a legislator in 2004 was established in Nigeria but was backed up by the NEITI act 2007. Since the inception of NEITI in Nigeria, NEITI has produced several reports in the oil and gas sector, solid minerals and Fiscal Allocations and Statutory Disbursement (FASD) Audit report. For 16 years NEITI has audited the three different sectors by producing 7 oil and gas reports, 4 reports on solid minerals and 1 FASD report. Unfortunately, the impact of the initiative in terms of delivering the core objectives of improving transparency and overall governance of the extractives sector is still generally low not for lack of effort but the stakeholder unwillingness to reform. This is because most of the remedial issues raised in all the reports have not really been implemented. NEITI reports should by now move beyond merely publishing reports to show evidence of more positive impact and results in the extractive sector. Weak arrangements around the domestic crude oil allocation. Opaque and discretionary license and lease award processes. Weak arrangements for monitoring and measuring crude and liquids, from well-heads to terminals. Year 2000 Memorandum of Understanding (MOU)-fiscal terms- between NNPC and Joint Venture Companies. Petroleum Profit Tax (PPT) underassessment and issues with other taxes and income. Loss of gas income for the Federation and Production Sharing Contract (PSC) Gas Agreement. It is important the NEITI Act is reviewed to give it power to reprimand the covered entities that have refused to implement the NEITI audit reports, findings and remedial issues. NEITI should also expand her relationship with the different stakeholders that have influence like EFCC and ICPC to ensure that the under declaration, underpayment and other sharp practices have enforceable penalties attached to them. The implementation of the NEITI remediation and audit reports cannot be fully implemented without the different stakeholders on the demand side showing an effective advocacy for the implementation of the reports. The CSO members that work in the extractive sector should take the lead in pushing the government to show more will and determination in ensuring comprehensive reform in the extractive sector of Nigeria. In addition, NEITI should work comprehensively with the civil society organisations to ensure buy in and partnership towards ensuring the implementation of the EITI standards. In order to address the remediation of the audit findings, the Federal Government first set up the Inter-ministerial Task Team (IMTT) in 2006. After 7 years with only minimal progress at remediation recorded, the government reconstituted the IMTT in late 2013. The Inter-ministerial Task team (IMTT) should be made to have only officers with the authority to make input and take the decision in the institutions they represent. Hence, there is the need for other stakeholders, especially civil society, to support the IMTT to effectively execute the remediation of NEITI audit findings. Civil society participation in all the aspects of EITI implementation is essential not only for the fulfilment of the necessary requirements but also because it could ensure that the right amount of pressure needed to influence reform is generated. For effective reform in the extractive sector, the different covered entities and institutions should show a determination to improve on the process and also implement the recommendations of the NEITI audit reports. They should see NEITI and other institutions as partners whose sole aim is to improve the governance architecture. Institutions like NNPC, DPR, Ministry of Petroleum Resources and other covered entities should make the remedial issues as urgent towards ensuring a strong and corruption free extractive sector. The reoccurrence of some of the issues in the NEITI audit reports should be discouraged and appropriate administrative sanction should be implemented against agencies and MDAs that have refused to implement the audit and remedial issues. It is encouraging that some of the recent reforms in the sector have inputs from the findings and activities of NEITI. We have an instrument that if well managed and utilised, will go a long way in making the extractive sector the dream of all well meaning Nigerians. The Nigeria’s petrol subsidy regime has continued to be a huge scam. Huge amount of monies spent with the state and citizens not having a clear understanding of what goes on in the subsidy payment. The only knowledge the citizens have on subsidy payment is that the scheme is a huge scam with corrupt practices at its peak. The House of Representatives committee headed byFarouk Lawal to investigate the subsidy claims Report shows, N261.1 billion was expended in petroleum subsidy in 2006, N278.8 billion in 2007 and N346.7 billion in 2008. Five companies, including the Nigerian National Petroleum Corporation (NNPC), were involved in managing the subsidy in 2006; it rose to 10 companies in 2007; and 19 in 2008. Within a year under President Goodluck Jonathan, 121 companies were added to the subsidy management list, making a total of 140 companies in 2011. 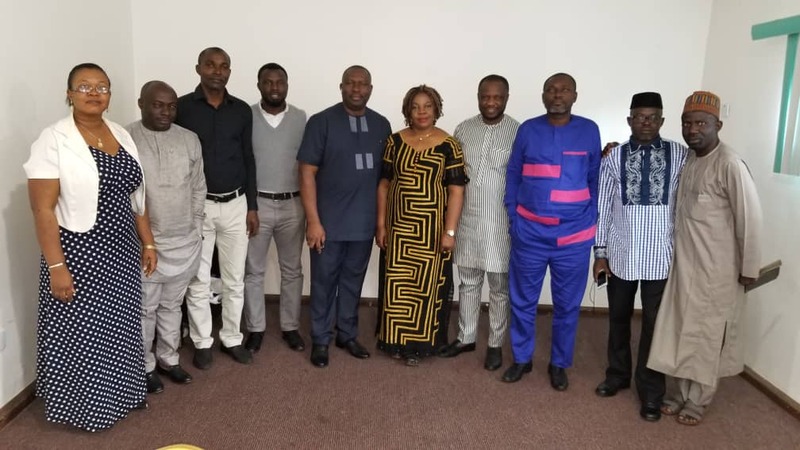 In an attempt to shield the independent marketers who have colluded with the state to steal public resources in the disguise for subsidy payment, Mr. Lawal collected $62,000 bribe from Mr. Femi Otedola, the Managing Director, Zenon Oil. He was caught, arrested and suspended by the House of Reps in an emergency sitting convened by Mr. Aminu Tambuwal, the former House of Representatives Speaker. And, Mr. Farouk was later charged to court. In 2011, NNPC paid N310.4 billion arrears of kerosene subsidy for 2009-2011. And this happened despite the president having in 2009 directed removal of subsidy on kerosene. The Petroleum Revenue Special Task Force, an investigative panel committee constituted by the Federal Government and headed by Mr. Nuhu Ribadu, to investigate the subsidy regime indicted Nigeria National Petroleum Corporation (NNPC). The panel report shows that NNPC could not account for $1 billion paid to it by oil companies. 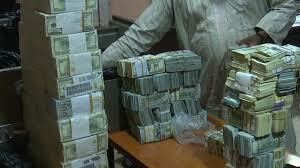 At the House of Representatives fuel subsidy probe, it was discovered how Accountant-General of the Federation paid N999 million 128 times within 24 hours, amounting to N127.8 billion to subsidy scammers, and, in spite of that, he failed to disclose their identities even on demand. The presidential committee headed by Aig-Imoukhuede in its report made a recommendation for N382 billion refunds from 21 companies, while the House of Representatives report shows that N1.7 trillion went missing. Four out of over 40 scammers who participated in the subsidy fraud have been convicted. Two of the convicts got 10 years imprisonment each. Ada Ugo-Ngali and her boss were convicted in January 2017 and Rowaye Jubril in March 2017. Besides the jail sentence, they are to make a refund of N755 million and N963 million respectively to the Federal Government. At the 2015 presidential electioneering, Mr. Buhari, the current Nigerian president said there was nothing like subsidy, and, accused Mr. Goodluck Jonathan, the former Nigerian President of stealing from the state resources using subsidy scheme as a justification. By December 28, 2015, Mr. Buhari said, his administration is not interested in subsidy payment and will end it forthwith. Responding to the president statement, on May 12, 2016, Mr. Ibe Kachikwu, the Minister of state for petroleum, announced that Nigerian state has removed subsidy. And, the outcome of this led to the increase of petrol pump price from N97 to N145. Corroborating this, Mr. Yemi Osibajo, the Nigeria’s Vice President, on December 15, 2016 assured that subsidy is now a thing of the past. Within a short period the state made pronouncement that she has stopped paying subsidy, the state contradictorily announced that it has been paying subsidy to independent marketers. By December 22, 2017, Mr. Maikanti Baru, the NNPC Group Managing Director made public that the landing cost for petrol is N171.40 per a litre. And for Nigerians to buy petrol at the N145 approved price, the government now pays N26.40 per liter in extra cost. At the resurface of petrol scarcity in December 2017, the (NNPC) admitted having spent N112.079 billion on petrol subsidy in 10 months, covering January to October 2017. Financial documents obtained from the NNPC by the Vanguard newspaper revealed. Confirming the Vanguard report, NNPC monthly financial and operations 2017 October report showed that in January 2017, the corporation made N37.264 billion provision for under-recover payment, ‘a new name forsubsidy payment’. In the current subsidy regime, NNPC pays itself for subsidy and not the oil marketers as has been the practice. NNPC says it paid subsidy from the profit made in the sale of domestic crude oil allocation. And, because of that the monies that ought to be remitted to the Federation Account is deducted by the corporation. What this means is that, obviously Nigeria state still pays petrol subsidy.And this practice has continued with the state engaging in corruption and abuse of the process with total disregard to transparency and accountability. It is most worrisome that the 2016, 2017 and 2018 budgets made no provision for subsidy payments. The question therefore becomes, where is the state getting the monies it pays subsidy from? How is the payments calculated?Who are those benefitting and who authorized the payments? Trying to justify the payments, the state argued, NNPC pays the subsidy and not the government. What an elementary arguments that has no basis. NNPC is an agency thatbelongs to the state and takes directive from the state on how it spends its money on behalf of the state. Thus, the monies belong to Nigerian state and not NNPC, hence the state is not telling the truth. It is not true that oil and gas sector cannot function effectively with the government at the core of management. It is simply that the state and its agents have internalized corruption in the sector and have defied every known model that seeks to reposition the sector. And this is mainly because, both the state and its agents in the sector benefit when corruption goes on. When that happens, accountability is not encouraged and primitive capitalist accumulation continues. Let us remind those who argue that pure deregulation and private sector investment is the only way for effective oil and gas sector reform that they are not correct. Brazil has rubbished that argument by successfully managing Petrobras since 1953. Should we do not know, Petrobras controls major oil and energy assets in 16 countries in Africa, North America, South America, Europe, Asiaand has become one of the global leading oil producing companies today. What then are we arguing in Nigeria, corruption has taking the place of state ability to manage what we have and the outcome is the abysmal practice of subsidy regime we have at the moment. Now what is the solution? Political will and nothing more. The refineries Turn Around Maintenance (TAM) is one of the worst corrupt dealings entrenched in the Nigeria’s oil and gas sector. The deal is characterized with lack of transparency between government officials and their cronies. Over $20bn billion spent on TAM without a functional refinery in existence. Agents of these corrupt act do not feel the consequences for their action, and if they continue to be set free, they will not change their actions and Nigerians will continue bear the predicament. As the corruption ranges, Nigerian state is under pressure to explain to her citizens why refineries are not working for decades. In 2015, the state via respective media said it has fixed the refineries and they are functioning optimally. Unfortunately, in 2017, the state admitted that the refineries aren’t working and set a committee to review and oversee the fixing and repairs of the refineries by 2019. In the current oil and gas sector reform national debate, the citizens and the ruling class must understand that petroleum debate is so central that it has the capacity to shape the state polity. For instance, the discourse on how to address petrol issue played a fundamental role in the People’s Democratic Party (PDP) exit from power in 2015. And, it also has the capacity to influence the outcome of the 2019 presidential election. In recent time, the state has resorted to the excuse of none availability of funds to fix the refineries and build new ones as justification for the refineries not functioning. However, there are indications that private sector wants to invest in the crude refining, although, this is yet to yield the desired outcome. One of them is the Orient Petroleum Refinery (OPR) in Anambra State. It was designed to produce 55,000 barrels of refined products daily. Mr. Goodluck Jonathan, former Nigerian president commissioned the project in 2012. Six years later, the refinery is yet to commence operation. Another is Dangote Oil Refinery and Petrochemicals. It is to commence production by 2018 with 500,000 barrels daily production capacity. Our hope is that it meets its deadline and comes into operation this 2018. Mr. Goodluck Jonathan, former Nigeria’s President promised three Greenfield refineries as a core focus of his Transformation Agenda. Mr. OlusegunAganga, the former Minister of Trade and Investment, on behalf of Nigeria signed a memorandum of understanding, MoU, between the Nigerian National Petroleum Corporation, NNPC, and some foreign investors under an American-Nigerian joint venture to build six modular refineries at the cost of $4.5billion (about N700 billion). 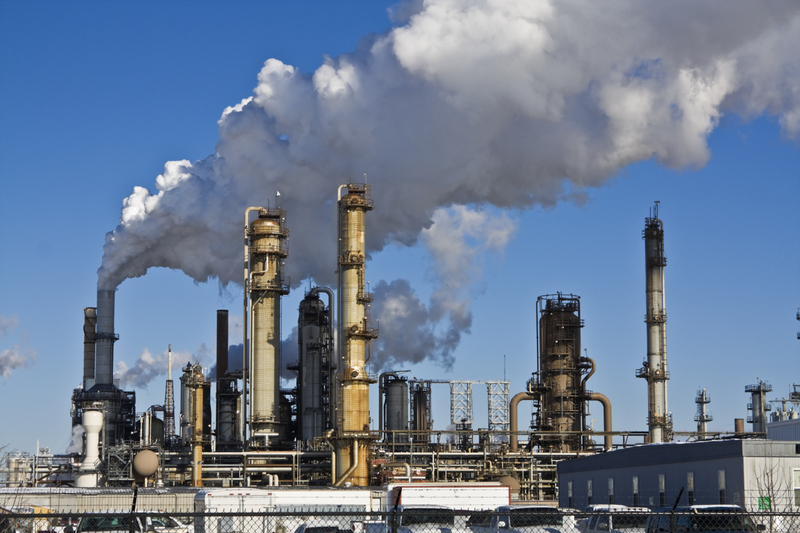 Report from the Special Task Force on national refineries revealed that the number of licenses issued to investors to build refineries in Nigeria has increased to over 28, and in all, none of the licensees has the capacity to operate a refinery. The report further revealed, of the 42 oil refineries operating in Africa, the three in Nigeria are the worst in terms of efficiency and capacity utilization. The coming of Mr. MuhammaduBuhari, the Nigerian president awaken the hope that the state refineries will be fixed. The state made no pretense over that. By November 2017, Mr. Buhari ordered NNPC management to immediately return the four refineries to efficient functionality. In response to Mr. Buhari directive, Mr. NduUghamadu, General Manager, Public Affairs Division in a press statement said, all Nigerian refineries will work fully in 2017. This will be achieved because the four refineries will undergo comprehensive rehabilitation. Contradictorily, Daily Trust reported NNPC to have set up 8 committees to fix refineries before 2019. Mr. MaikantiBaru, the Group Managing Director on inaugurating the committees charged them to ensure that the refineries return to efficient capacity by 2019. Nigeria continues to be the only Organization of Petroleum Exporting Countries (OPEC) member that is wholly dependent on the importation of refined petroleum products. This has continued to be the situation despite OPEC stipulation of 80 percent domestic needs in refined petroleum products must be met by domestic refining capacity among member countries. This is to ensure that among the member countries, on the average, only 20 percent of domestic use is imported. Thus, Nigeria being an OPEC country, to what extent have we satisfied this clause? We absolutely failed in this regard. It becomes fundamental to interrogate why Nigerian oil and gas sector has remained eternally dilapidated. The only answer is corruption. A pointer case is, over $20bn has been spent on Turn Around Maintenances (TAM), and nothing to show for it. And we continue to import over 80 percent refined petroleum product. On the assumption of office in 2015, Mr. Buhari, the Nigerian president assigned the Nations minister of petroleum to himself. He argued, the huge task of addressing the corruption in the country’s oil sector compelled him to assign such task to himself. However, evaluating the oil and gas sector under the current Buhari regime takes one to a hopeless situation. It does appear, the rot in the sector is so systemic that Buhari has lost idea completely on what to do. Although the arguments have been that since Buhari was a former Head of State, Petroleum Minister, and having established four refineries in the past, being a president will give him the opportunity to address the rot eternally. Unfortunately, unfolding events have proven this line of argument wrong. We erroneously allowed the President to have arrogated huge responsibility he cannot handle to himself. Yes, we did. Mr. Buhari is not a petroleum engineer, a technocrat and a specialist in the oil and gas sector. Thus, why are we surprised that we are not seeing results? We would have pushed for the president to appoint a person with a reputable knowledge in the economics of oil and gas. When that happens, the sector will be properly managed and some of the major challenges will be addressed. Although there are numerous solutions that have been proffered, the only one that will address the issue is political will. Since Abacha’s exit, none of the regimes including that of Mr. Buhari have shown the political will to address the rot in the oil and gas sector. What we have seen is every presidency bringing his cronies and arrogating experts’ title to them to justify why they will be allowed to pilfer the state in the guise of managing the sector. All the clamor for a holistic reform in the oil and gas sector that will lead to effective delivery has been abandoned by the state, hence we continue in the mess.